Christy's failure taints her reputation at Division and the director has lost all faith in her. But Christy isn't one to slink into the shadows. Alone and disgraced, she decides to track down the drive and solve the murder, not only to redeem herself as a spy, but to give meaning to her informant’s sacrifice, and perhaps even save Paris. Suspenseful, with the right amount of romance, and awash with action, Fatal Exchange will send you on a thrill ride that will be hard to forget. This book had so many elements that I just love. I was really looking forward to reading this book and it definitely did not disappoint. 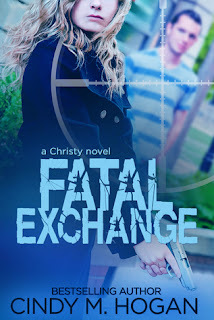 Fatal Exchange is the third book in this Christy series. Christy is a spy and a good one at that. I love her spy team because they are so fiercely loyal to each other. They are friends and they look out for each other one hundred percent. The pacing of this book is fantastic. It was fast and I felt like I was on a fantastic ride where I hold on for dear life with a smile on my face the whole time. There is danger and suspense almost around every turn. It was great fun. There is some light romance, but it isn't a main focal point in the book until toward the end. I think this book probably could stand alone, but I would recommend reading the whole series because that is really how you get to know the characters. I'm sure this book wouldn't have been so good to me if I hadn't been following the series and had that connection to the characters with the background of knowledge that comes with it. 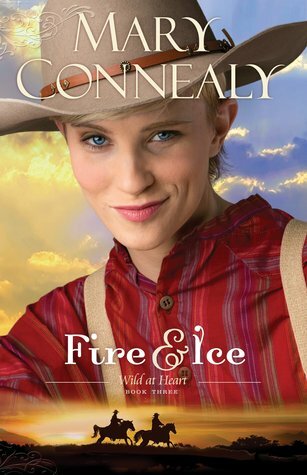 This is, by far, my favorite series from Cindy Hogan. She has found her groove with these books and I am a fan. Content: Clean- no swearing or sexual content beyond some kissing. Accustomed to loss, twenty-two-year-old Emma Matthews learned long ago how to shield her heart from hope. But she never expected it to be the only thing she has left. A two-thousand-mile flight to Nashville should’ve been enough time for Emma to sort out her future with Riley. Then again, when has time ever played fair? With a contract ultimatum jeopardizing Riley’s career and a ruthless vendetta sabotaging Emma’s efforts to save the Portland center, the fires they spent the last four months facing are far from over. As danger strikes, rifts emerge, and delays snowball, the unrelenting war between the past and future tests Emma’s convictions until she has no choice but to put her faith in the one thing she’s always doubted. Will time once again steal the dreams she’s fought so hard to believe in, or will it finally teach her how to trust in a hope that remains unbroken? This is the final book in this Unveiled series and I'm very, very happy to be at a conclusion and resolution for Emma and Riley. The road to happiness has been long and hard for them both as they've grown, made choices, and fought to stay together. 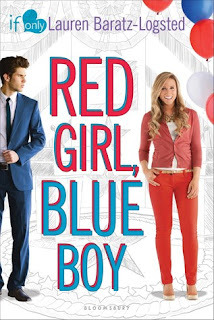 In this book, even more real life problems face Emma and Riley. I liked the feel of this book as Emma and Riley face more of the difficulties together instead of apart. They became a better support to each other. Riley has finally reached his limits with being far away. He finally put his foot down and headed back to Emma so they could be there for each other. I liked his determination to figure things out while together instead of apart. Their relationship was the most important thing to him. That is what changed the tides of the book for me. That was the moment that Riley became a grown up to me. He wasn't sacrificing his music career, he was just finding a way to make it work within his relationship with Emma. It's sometimes hit or miss for me in these Year of Weddings novellas but I knew that this one would be a hit (or at least I had high hopes!) because it was by Becky Wade and I love her. I knew I had to read this one. Holly and Josh. Josh and Holly. In love but then she dumps him unexpectedly. He is angry, she is sad. Years later they cross paths again and the sparks are still there but so are the hurts. It's not a new idea for a book but I it felt fresh to me. The characters were real and driven by real emotions. I liked Holly and Josh. I liked their story and I liked the re-connection journey. It was a sweet romance. 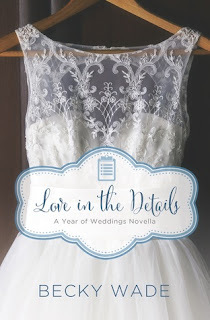 Today is release day for Love in the Details! You can pick it up and read it today. :) My thanks to the publisher, Zondervan, for allowing me to read and review for them. 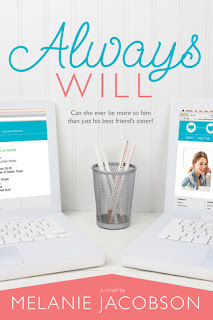 And also my thank to the author who let me jump on board her review team for this novella. I said above that I just love Becky Wade. 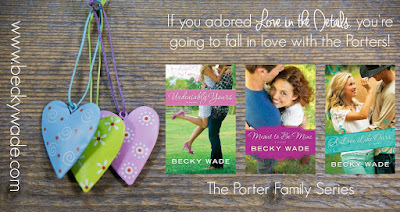 The Porter Family Series is one of my all time favorites! If you haven't read them yet, you should really check them out. I just love novella collections. Especially ones revolving around a certain theme- like this one. This collection is perfect for the month of October. Here you get five different stories from five different authors but each one revolves around castles and/or ghosts. It's the perfect Halloween treat! Read them one after another without stopping or breathing (Ha, just kidding. You must breathe.) Or, read them one per sitting, whenever you have time. That is the joy of anthologies. This time around I slipped one in at a time. It was better for me with the whole ghost theme. I'm not really a fan of ghost stories, even the tame and sweeter kind, so for me one at a time was perfect. Not every story has a ghost, but every one has a sweet romance. That's the part that I really love. Each story is unique and different. So much fun! Enjoy the following excerpt from "A Savage Ghost". About the Authors Cindy M. Hogan is inspired by the unpredictable teenagers she teaches. More than anything she loves the time she has with her own teenage daughters and wishes she could freeze them at this fun age. If she's not reading or writing, you'll find her snuggled up with the love of her life watching a great movie or planning their next party. Most of all, she loves to laugh. 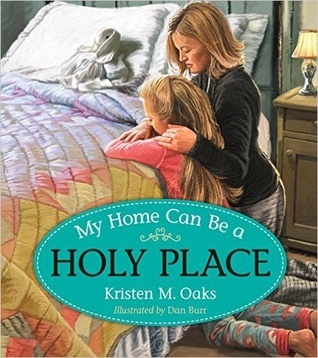 Our homes can become holy places that prepare children to grow up in the Lord. This children s picture book tells the story of Lily, a young girl who is helping to make her home a holy place by the things she does each day. The engaging illustrations by LDS artist Dan Burr depict Lily s family in various settings that show how children can contribute to the spiritual environment in their home as they say their prayers, work together, read the scriptures, eat dinner as a family, make good decisions, observe the Sabbath day, participate in family home evening, share the gospel, and learn to love one another. Parents will find additional helps and resources to reinforce these concepts on the author s website. These resources are designed specifically to complement the themes presented in the book. I don't usually review religious non fiction on my blog. But I do review music sometimes because I love music. Jenny Oaks Baker is an amazing violinist and her music just makes me feel. The violin is such a beautiful instrument. I love this track list on this album. This music is so soothing and peaceful and so, so beautiful. My favorite was Jesus Once Was a Little Child, I think. The book that goes along with this music is just as beautiful. The pictures are sweet and full of peace and love. The world can be such a hard and cruel place some days but our homes can be our refuge. We can make our homes a place where love prevails. This book does a fabulous job of reminding us how. As we work together, pray together, learn together and play together, our families and our homes become stronger. The world needs all the beauty it can get and this music and this book (together or separately) definitely add to the good things of the world. Ruby Jeavon certainly has her heart set on an engagement. It's the first step in creating the family she's always wanted. But things go slightly off course and instead of flying to Italy with her boyfriend, Ruby heads out of town to work as an elf in Nashville. Even though she's far away from her dream, she's about to discover the magic of a Nashville Christmas through the eyes of North Foxwell, her fellow elf and a Christmas expert. 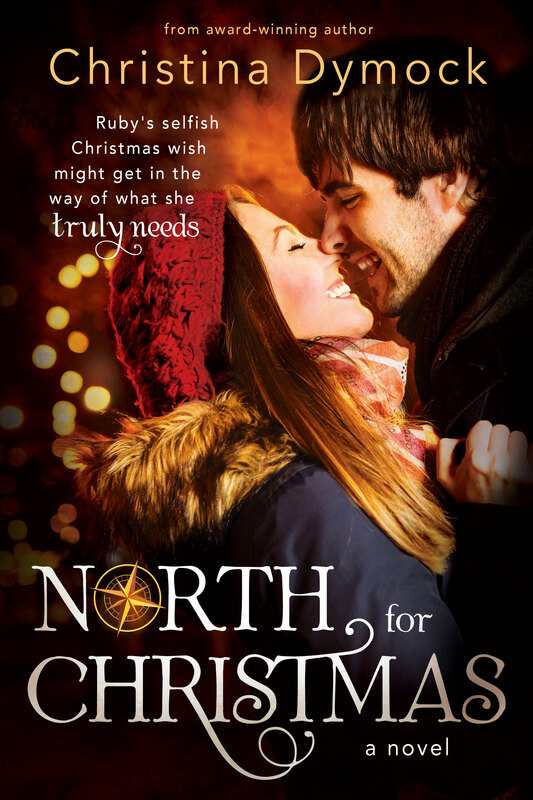 Even though North struggles with his own Christmas ghosts, Ruby manages to bring new light to his life. Can Ruby let go of her dream to find what her heart truly desires? Only time--at the North Pole--will tell. I'm just going to start this review by saying this was the perfect holiday romance book. I really loved it. I'm pretty sure it should be a Hallmark show. Ruby starts out the book expecting a proposal from her boyfriend. She is fully focused on doing whatever it takes to make this happen and so comes off in the beginning rather self centered and snotty. Maybe to some extent, she is. When Ruby's mother gives her an assignment right before Christmas it is both an answer to her prayers, and a nightmare. I loved North even with his problems because that's how most of us usually come. He has a kind heart. Ruby and North are great characters. There was a spark or two between them and I loved feeling the push and pull of attraction and interest as the book went on. The whole holiday theme of this book really put me in the mood for Christmas. It was a good reminder that there are so many people out there that could use a helping hand and extra love and kindness. I read through this book so quickly. It really was like a Hallmark movie playing in my head. Just perfect for this time of year! This book is set up perfectly to come out in the middle of a very political year for the U.S.. It's so easy to imagine this book actually happening right now. Katie is red. Republican all the way and in full support of her father's run for president of the United States. Drew is the son of the Democratic nominee for president. And while he isn't into politics like Katie is, he still finds himself in the middle of all kinds of media attention. These characters felt really young to me. Maybe even younger than the 16 years they were supposed to be. Katie is socially awkward and a bit naive when it comes to making friends and talking to boys but she is also endearing. Katie and Drew form a new kind of friendship that takes some navigation because they are on opposing sides of a very big election. I liked that Katie and Drew developed more of a friendship than a romantic connection. It seemed very appropriate for two sixteen year olds. Even when the storm of misunderstanding came, it still felt very on point for the age. This was a sweet story of a boy and a girl and first love. Seventeen-year-old Kate has never stopped searching for the secrets of her past - the secrets that began with her missing birth parents. After years of every lead drying up and every hope turning false, Kate finally lucks onto a promising lead. Determined to find the truth once and for all, Kate travels to the gritty New Jersey shore. But what she finds is worse than she ever could have imagined. She can't hide from who she is, and now she must face the awful consequences of finding the very people she should have been hiding from. I'm coming in with a mixed sort of review on this one. 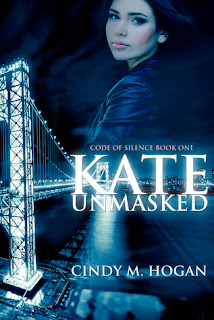 I'm a fan of Cindy Hogan's Christy Series and because of that I had high hopes for this book and the beginning of this new series. I didn't love it like I wanted to but there were parts I definitely enjoyed. The main character, Kate, has me so conflicted. For the most part, I just didn't like her and I liked her best friend even less. There were some redeeming moments for Kate but overall, I just felt like her character was inconsistent. One moment she is whining and annoying and the next she is brilliant. Kate is a teenager though and I've had a few of those, so I know the attitude swing that is possible with teenagers but for some reason I just had a hard time liking Kate. Duran, on the other hand, was completely likable from the very first moment. He is the character that kept me feeling hopeful and not crazy like I want to strangle you. The first half of the book just sort of eeked along. It felt slow and there was just way too much teenage drama and whining. It got old. The last part of the book, things picked up and I was more into the story and what was happening. There were so many things that as I reader, I just didn't buy into. I didn't believe it. Most of it in regards to Kate. Maybe this is written with the younger teenagers in mind? I don't know but I'm still debating whether or not to follow this series. Maybe I'll just stick to the Christy series which I really do love. I'm reading the next book in that series right now and I'm really loving it. Look for my review of that one next week! An unexpected offer could be the answer to Holly's dreams or could crush them completely. This is a short story. And I mean SHORT story. If you have five minutes, you have time for this book. Well, if you haven't read the two previous short stories in this series, then you will need fifteen minutes to read them all. :) Do you have 15 minutes? Think lunch break for waiting for your kids at practice or those 15 minutes of peace right before bed. This is the continuation of Holly's life. We get glimpses of her life in these tiny little nuggets. The first book is An Unexpected Date . Then comes An Unexpected Kiss . This one is that moment of love that follows the dates and the kissing. :) It is so sweet! My heart melted just a wee tad. Susan Hatler is one of my all time favorites for zingy, light and fun romances. It's amazing what she can accomplish in five minutes of reading for me! I have been reading this series from the very beginning and I really love it. Fire & Ice is the third book in the series and revolves around Bailey, the oldest and perhaps the most emotionally closed off sister of the three. Bailey has been masquerading as a male for years. She served in the war and saw all the hard, awful things associated with war, death and fighting. Bailey is harboring much guilt and resentment over one event in particular. Bailey is used to being strong and independent and when Gage comes along and pushes her, she is ready to fight. We get glimpses of Gage in the previous book and he comes off pushy and rough. I love that in this book we get to see that while Gage is pushy and rough, he is also hard working and honest. The more I got to know Gage, the more I liked him. Bailey has the biggest character arch, I think. Her growth emotionally really made her endearing to me. I loved the learning that Bailey and Gage do together as well. We get to see the other sisters in this book for brief moments. It's like checking in with old friends to see how they are doing. As I said in the beginning, I have loved this series. I'm sad to see it coming to an end but I know Mary Connealy must have something great coming up next and I can't wait to read it! 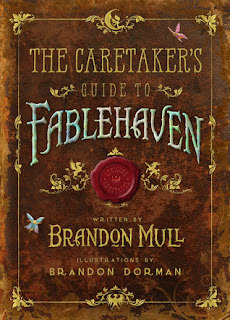 If you are a Fablehaven fan, this book is a must for your collection. 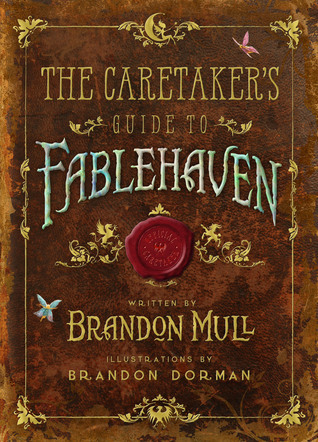 This book is filled with illustrations and explanations about all things Fablehaven. From spells, potions, artifacts, and tools to fairies, giants, imps, griffins, dragons, wizards and demons. Some illustrations are done in black and white, and some are in full color. Every page is a fun new discovery of creatures, places and things. Not only did I love the illustrations and explanations, but I loved the extra bits written in along the way. You get little notes from the characters and words of wisdom as well. There is humor sprinkled in which is always a plus in my opinion. The pictures really help bring the book to life. My kids wish they had this book while reading the Fablehaven series but maybe this is a good time to go back and re-read while finding the pictures in this book! If you haven't read Fablehaven, you should. It's a fantastic series to read aloud to younger children and is fit for any age of readers. My husband finished this series not too long ago and enjoyed it as well. Everyone loved this Caretaker's Guide. It is a wonderful addition to this series. 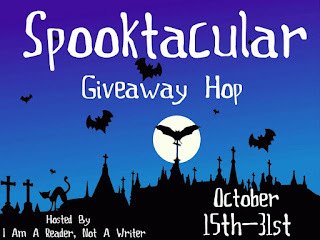 Spooktacular Giveaway Hop! 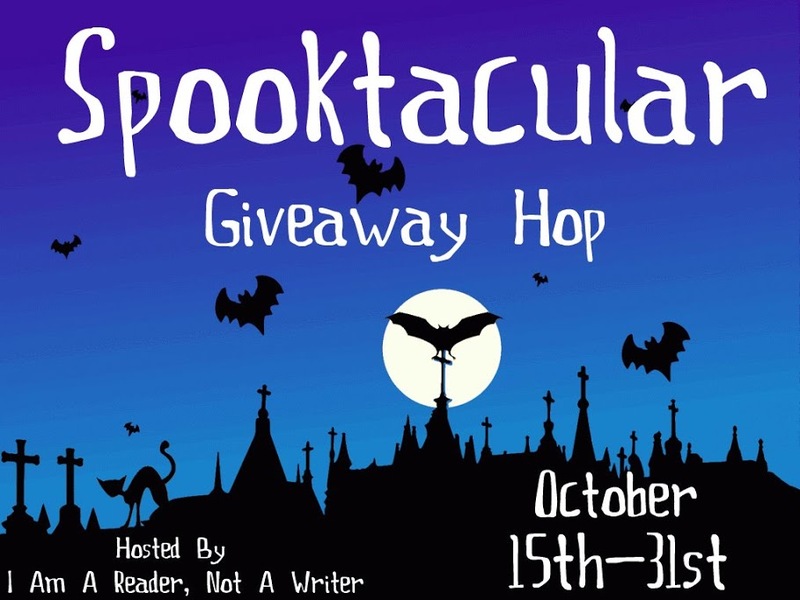 Enter to Win a Book of Your Choice! It's time for another Giveaway Hop! These are always so much fun and I love being a part of them. Sharing books with friends is the best. I'll be giving away a book of your choice, $12 or less, from Amazon if you are US or The Book Depository if you are INT as long as they ship to you for free. This giveaway is for a book and not a gift card or anything else. Thanks for stopping by and Happy October! Spotlight (Saint Squad #9) by Traci Hunter Abramson + $25 and Book Giveaway! Navy SEAL Craig Simmons has pledged his life to serve and protect, so when this newest member of the Saint Squad observes a stunning young woman on the beach being shadowed by an armed man, he leaps into action. It doesn’t take long to realize his mistake, but it also puts him in a position to meet a very well-known actress, Sienna Blake. For Sienna, the timing couldn’t be more perfect—she’s preparing for a role as a CIA agent, and who better to help her prepare than a Navy SEAL? Craig and Sienna develop a lighthearted friendship, though both are aware of their growing attraction. Neither realizes, however, that a treacherous enemy is setting in motion a terrifying plan to destroy Sienna . . . A series of near-fatal accidents on set are too close for comfort, and Sienna has been lucky to escape with her life—so far. Despite the rising danger behind the scenes, the show must go on. When the Saint Squad is enlisted by the FBI to safeguard Sienna on the ill-fated film set, Craig is driven to protect the woman he is quickly growing to love. As the list of suspects and motives grows, Craig and the Saint Squad will do whatever it takes to track down the perpetrator—before things turn deadly. Today is release day for "Wedding Date for Hire"! Yay! 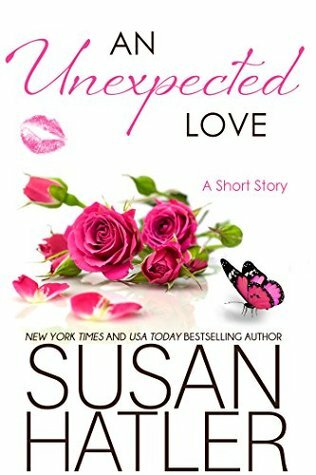 If you are looking for a fun, flirty romance for some light, happy reading, this will fit the bill perfectly. This book is sure to make you smile. It sure made me smile! Maddie is entertaining and a bit frustrating. She has a crazy family and deals with a lot of pressure about getting married. She needs a date for her sister's wedding and decides to look into Match Made Easy- a date for hire company. Trent is the guy that is matched up with Maddie. I love how Trent decides early on that Maddie is the girl for him and tries to win her over. It might start out as a favor for his cousin but quickly turns into something more. Trent is such a good guy. So sweet and attentive to Maddie. There is definite chemistry between Maddie and Trent in this book and it was entertaining to watch their chemistry spark all over the place. So fun! 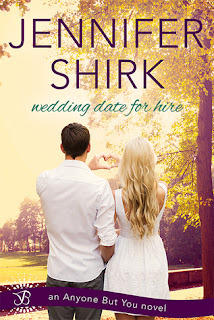 I'll be on the lookout for the next book by Jennifer Shirk. I am so happy I got to read this book. These three regency romance novellas were simply perfect and they made me smile. I loved how each one revolved in some way around a Masquerade Ball because it was like a small thread of continuity that linked them all together. I couldn't pick a favorite of the three if I tried. I loved each one of these stories. 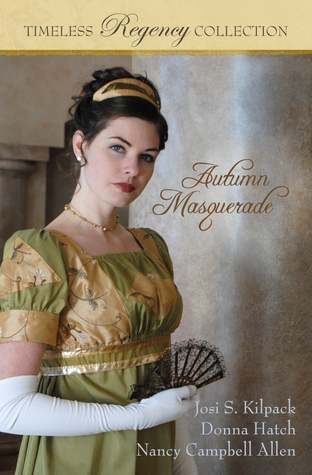 The regency setting was so fun, the characters were clear and developed. Each one was light and charming. This is one of my favorite collections, I think. Love! Always Will by Melanie Jacobson + $25 and Book Giveaway! 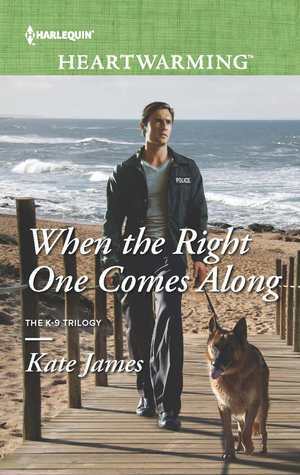 When the Right One Comes Along by Kate James + BIG Giveaway! There were so many different things going on in this book with the characters. Some were separate, some were together. I love how everything sort of melded together and connected. Cal is a search and rescue officer with a K-9 companion. He works hard and is very good at what he does. The book starts off with a daring and heart wrenching rescue of a little girl trapped in the rubble of an earthquake. Cal has a big hero's heart but it is often closed off because of hurts and frustrations from his past. Saving that one little girls sets off a chain of events that lead Cal to bigger and better things. Jessica tries to stay impersonal but she just cannot. Some people just pull at your heartstrings no matter how hard you try to close yourself off. Jessica is a helper by nature and so helping Kayla and then Cal happens whether Jessica likes it or not. Jessica has some big demons to fight but she has been running instead of fighting. The time comes when she has to either fight or lose everything. This was a great book to settle in with. I loved the characters and I loved the struggle. The chemistry was there between Jessica and Cal- they knew it and I knew it too. The forward progression of this book was good and the characters were solid. I read through this book quickly because I just didn't want to put it down. Yay for a good, clean romance! This book really brought together so many of the things I love about reading. I love regency romances done well, and this one is done well. The setting, the attitudes of the time, the clothing- everything was done so well and tastefully. The characters were so clear and had a depth that made them human and real to me. I loved the progression of the book- the characters learn and show growth- especially Lord Fenton. Even though I was frustrated with Lord Fenton, I couldn't help but love him and want the best for him. The road to change and love isn't usually easy or pretty. Lord Fenton had a lot of not so pretty moments. But then, so did Alice. Hurt can bring out the worst in people. Love can bring out the best. I was glad we got to see both ends of that spectrum. It was so satisfying.